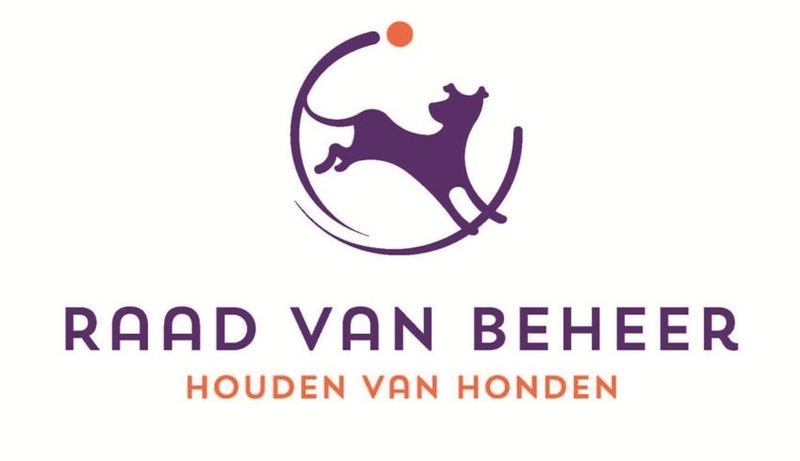 On April 13th, KNK Cynophilia consulted the Dutch Kennel Club “Raad van Beheer” about the future of the organization of the Winner Show and the Holland Cup. The changes in the society necessitate further professionalization of an exhibition of this level. Such changes require a different organizational form and involve a greater financial risk. Things that cross the possibilities of KNK Cynophilia. During the member meeting of KNK Cynophilia on April 12, 2016, members were presented with this question. 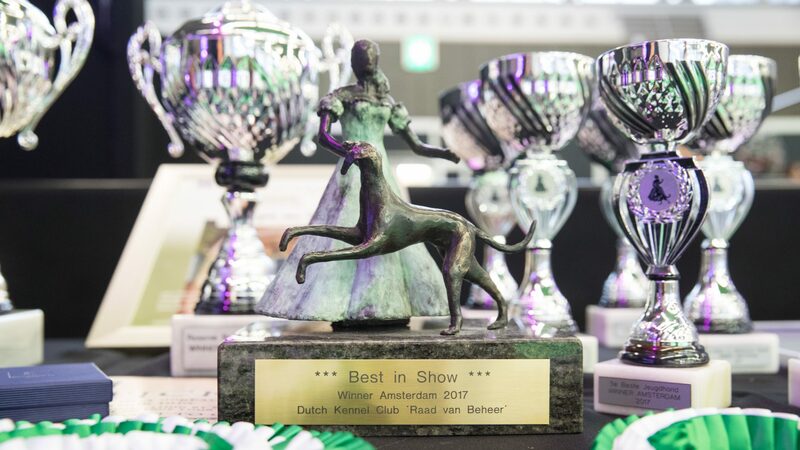 With a broad majority (80% of the votes), the board of KNK Cynophilia was given the mandate to talk with the Dutch Kennel Club to transfer the organization of the Winner Show. The name KNK Cynophilia will be permanently linked to the Winner Show. This consultation has been in good harmony. With respect for KNK Cynophilia as the founder of the Winner exhibition and from her contribution to the historical perspective for Dutch sexology, agreements have been made to the satisfaction of both parties that make each other right and again. Cynophilia was no longer able to bear the financial risk of a big show like the Winner. 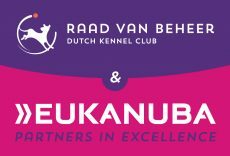 The Dutch Kennel Club came to help and in 2014 and 2015 the organization was a 50/50 cooperation between the KNK Cynophilia and the Dutch Kennel Club. Cynophilia was established on 1 April 1890 and held its first show in Scheveningen within six months. Was this, given the financial experience of Nimrod in 1886, not a substantially bold venture for the young association? It was able to take this on as its first chairman, H.A. Graaf van Bylandt, funded it from out of his own pocket. That particular show numbered almost 300 dogs, of 50 assorted breeds. The year after, 1891, Cynophilia organised two shows, the first in Amsterdam – the start of what would later become a long-lasting series of shows – and the second in Scheveningen once again. It is of course impossible to focus on all of those shows. If we limit ourselves to the first 12 years of its existence, we will observe that Cynophilia has held 16 shows, and not just in the west: Amsterdam , Rotterdam, The Hague, Scheveningen, yet also in other parts of the country: Nijmegen, Breda, Groningen and Maastricht. Two of those shows were organised in combination with Nimrod. 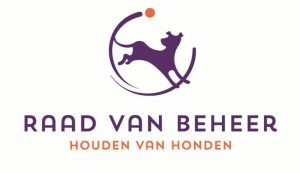 The hunting association also held shows in various places during those years, among which Arnhem, Haarlem and Amsterdam. This is how in those days, Cynophilia and Nimrod laid the basis for the dog shows we are familiar with nowadays, a basis on which the local associations that were to be formed later were able to build upon. Organising dog shows was nevertheless financially unattractive: in 1910, when Cynophilia had been in existence for 20 years and had organised its 25th show, it was shown that an additional amount of approx. NLG 48,000 had to be sacrificed on the first 24 shows. One point from the next 35 years has to be touched upon briefly: the ‘Winner’ title etc. came into being in 1926. The show with the ‘Winner’ title brought with it a financial surplus in the first year, but the financial results were otherwise often negative. When Dr. J. Oskam, secretary of Cynophilia and secretary-treasurer of the Wereldtentoonstelling (World Show), made his speech at the 60-year anniversary of Cynophilia, he stated that the 62 shows held by the association had resulted in a shortfall of almost NLG 85,000. This shortfall was made up by contributions and voluntary offerings from members. The year is 1950 and we have already had our first post-war Winner, in 1947. This show numbered 1367 dogs. A superb memory, especially if one recalls the trying times of those years as regards difficulties such as food and transport. And what was also very special: 25,000 visitors. But this Winner in 1947 was subject to a ‘catching up’ effect and numbered an amount of dogs that was not able to be maintained. This total decreased to 750 in 1952, which is not even 75% of the 1019 dogs that Cynophilia had received at the first Winner show in 1926. The total number of dogs gradually increased after 1952. This number first exceeded the 4500 level in 1977 and repeated this again in 1979, 1984, 1985 and 1987. However, the year 1985 was an exception in this respect. In that particular year, the Fédération Cynologique Internationale world congress was held in the Netherlands and a special Winner show was held in honour of this. This World Winner brought 10,194 dogs to the benches. The show in 1989, the hundredth show Cynophilia had held, numbered 5212 participants. This is exceptionally high for the mainland in terms of a normal show, therefore not a ‘World’ or ‘Europe’ Winner. But in another respect, our Winner shows are practically unique in the entire world in terms of the total number of various breeds that are registered to take part.